As a result of the growth in our customer base in Shropshire,its major towns Bridgnorth, Ludlow, Shrewsbury, Telford, Whitchurch and the surrounding countryside we have based our LPG tankers and drivers in a nearby depot to ensure our LPG delivery service is efficient and our LPG price is very competitive. As such we are ideally located to supply residents and businesses throughout Shropshire and maintain the most competitive LPG prices as we have tankers and drivers conveniently stationed for access to local motorways and A roads throughout the area. 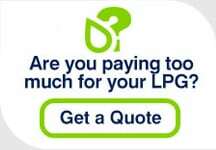 We are quickly building a reputation as the leading independent LPG supplier to homes and businesses in Shropshire and look forward to continued growth with great customer care, reliable LPG supply and the cheapest LPG prices. Shropshire seems to be a popular place for LPG metered estates with farmhouses and barns being converted to domestic homes. Shropshire LPG users can find more general information on the following pages: Domestic LPG transfers, Metered LPG transfers and Commercial LPG transfers.